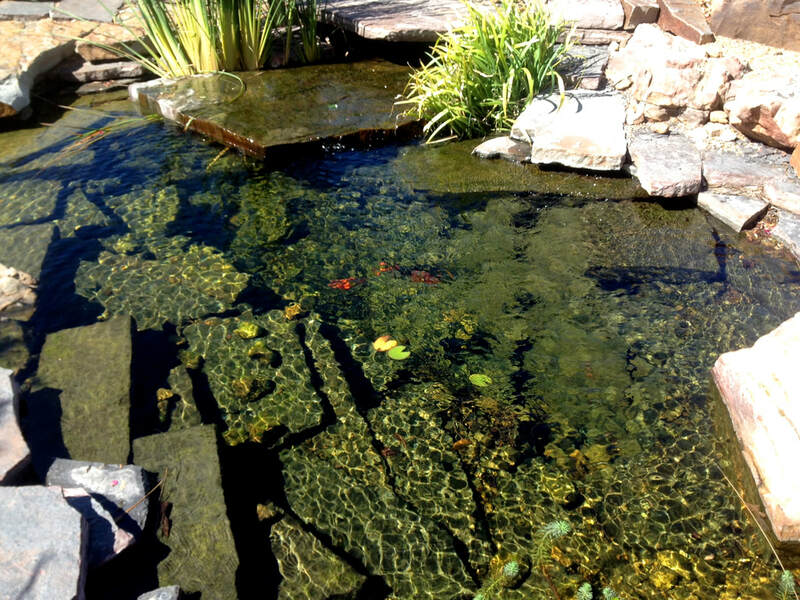 FAQ: Can You Have Fish in a Natural Swimming Pool? Yes, our NSP filtration system is engineered to handle a full range of potential contaminates including fish food and waste! Koi can be a little aggressive (they like to root & destroy plants) so we often recommend simple goldfish (10-12 to start) because they look pretty and are not a nuisance to swimmers. ​We recommend that you feed your fish very little or not at all; we have found that fish in our NSP's have no trouble finding their own food. Plus, not feeding your fish will allow them to become a beneficial part of the natural ecosystem -- they will keep your NSP clean by eating up any green fuzzies on rocks/plants. Blue tilapia are especially good at this cleaning task!